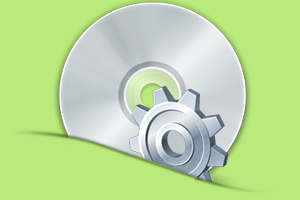 Setup installer software has been designed specially for the Software Programmers or Beginners for creating installers or software packages for any Windows application. Professional setup package creator generates the exe file setup of any software application and lets you deploy and distribute created software exe file over internet or via other source. Popular installshield software places your complete application program and data files into a batch file and converts it into a single self extracting exe (executable) file. Setup builder utility reduces your countless software installation headaches and facilitates to make your Desktop programming scalable across World Wide Web without altering Software originality. MSI to EXE creator software is a powerful, reliable and cost effective solution that converts executable file setup from Microsoft Installer (.MSI) file format. Setup maker software is fully capable to convert and create exe file setup from Microsoft Visual Studio .NET framework MSI installation setup package without affecting original structure of MSI file. Advanced yet simple to use setup creator wizard has been developed to make software application scalable and versatile across multiple machines while creating executable setup installation package from existing MSI installation setup wizard. MSI to EXE Creator tool supports all major Windows Operating System including 98, 2000, XP, ME, NT, Vista and latest windows platform. How useful for the software programmer? Setup installer software helps software programmers or beginners who frequently have to tackle with setup installation problems by generating exe file setup of windows application that makes it possible to install and run software utility at end user machine or while business deal. Customized setup maker tool is simple, fast and cost-effective solution which facilitates you with both Install and Uninstall setup wizards so that end user is provided with proficient and easy looking software setup to use it without any hindrance. We provide professional software setup for your Windows applications in just few mouse clicks. Setup installer software enables the creation of setup files to let user deploy and distribute Desktop application over internet or at client machine.